Tooth grinding, also known as bruxism, is an unfortunate condition that affects many people. More often than not, this is an unconscious action as the majority of sufferers do this in their sleep. The only way they know is through the ongoing damage to their teeth, and sometimes the frustration of the partner sleeping beside them. Some may dismiss the problem, wondering how much damage they can really do if they are asleep. 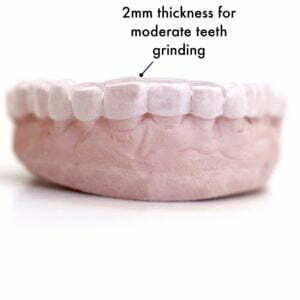 The problem is that recurring grinding places a lot of pressure on the jaw, teeth and surrounding area)s). Long term effects include teeth and jaw damage and pain. That pain may even spread to the ears and head. 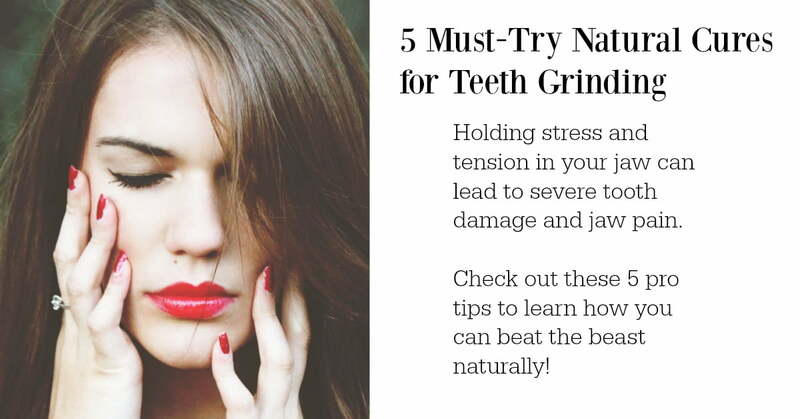 Stress is the leading causes of teeth grinding. Many of us are victims and lost to our stress, we need to learn to relax. Physically and mentally. Take a deep breath and exhale. Actually do that 6 times. Six deep breaths are the minimum number to take in order to feel the effects. So. Take 6 deep inhales and exhales. Feel better? Alright. Let’s begin. A natural cure for grinding teeth. Bruxism isn’t something that we can treat with drugs. There is no quick fix medication to solve the problem. This doesn’t mean that sufferers should admit defeat. In time, the subsequent jaw and tooth issues could lead to medical conditions and expensive dentistry. Thankfully, there are some great natural solutions to tooth grinding that can help. Wear a dental night guard. Dentists regularly encounter patients with headache, orofacial pain and signs of teeth wear. 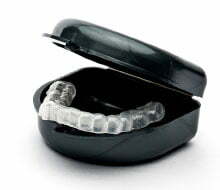 A custom mouth guard is your best protection method for preventing further wear and relieving pain symptoms. The mouth guard a.k.a dental night guard is made from a mold of your teeth and unsurprisingly fits better and more comfortably than a generic nightguard’s from the supermarket. Additionally, it lasts much longer. Four years is the average lifespan of a custom made night guard. Relaxed muscles can make a massive difference. One great ways to improve the problem is to relax the muscles in the jaw before sleep. Meditation and other relaxation techniques can help us to retrain the muscles in this area. 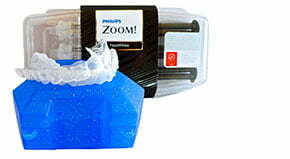 There are a number of techniques to use before bed to reduce the chances of tooth grinding. A simple body scan lets us travel the length of the body, paying attention to tension in key areas. Those that are new to the approach will benefit from guided practice. You will note that many of these sessions do focus on the jaw. Guided sessions are available in many free apps, so cost isn’t an issue here. We hold stress and tension in our jaw and teeth. When irritated, masseter muscle knots can cause a plethora of issues. You can self massage your jaw which will lead to a conscious relaxation of the jaw. The idea of exercise for relaxation can seem counterproductive to some newcomers. Yet, a nightly session of yoga can free up the mind and help to channel energy in the right direction. This exercise doesn’t need to be strenuous. You are not there to work up a sweat. Practitioners can feel rejuvenated and more at peace after just 20 minutes of gentle stretches and poses. This helps to relax the muscles, including areas of tension in the face. A gentle, warming heat around the jaw is a great way to relax the muscles and lower the risk of grinding teeth. Simply soak a wash cloth in hot water, wring it out and apply it to the jaw for while. Some find that it also helps to do this during the day to help maintain a relaxed state. A bath before bed. This is something that comes up time and time again in guide to natural remedies and relaxation – and for good reason! A warm bath before bed is the perfect way to bring two of the points above together. The warm water helps to relax the muscles, and this includes those around the jaw as well. Sink back in the water and inhale the scents from luxuries toiletries or those essential oils. You could even stretch out the muscles in the water with a little hydrotherapy exercise. Other natural bruxism cures that could help you beat this condition. Natural ingredients, like those found in essential oils, are a great choice for those that want a simple, drug-free approach to combat teeth grinding. However, some of these massages and compresses can seem a little time-consuming and awkward for some people. Many are after a much faster quick-fix solution than that. This is where some drinks and supplements can help. What are you drinking before bed? Any drink with caffeine or other stimulants is a bad idea before bed. Ideally, you want a soothing, calming drink that will aid relaxation and possible even oral health. Hot milk is something that many people swear by for a better night’s sleep. A nice warm mug, with a little added turmeric, could help to relax the jaw and add some extra calcium for dental health. Those that are put off by the idea of yellow milk may prefer the simple alternative of herbal teas, like green or chamomile. A little honey can sweeten the taste. There is nothing faster in quick-fix solutions than supplementation. Finally, those that really want a quick, hassle-free approach can turn to supplements. This option is great for those without the time for a long bath, or the taste for herbal tea. Many add 2 parts calcium and 1 part magnesium to a glass of orange juice. This daily concoction promotes relaxed muscles across the body. The vitamin C in the juice also helps to reduce stress. The downside is that it doesn’t have the same soothing effect as a bedtime drink. Prepare chamomile tea by boiling 2 tsp of chamomile flower powder in water. Filter it and keep aside for 5 minutes. Add 1 tsp each of lemon juice and honey. Mix well. Drink 1-2 hours before bedtime. Let’s take a look at the masticatory anatomy to understand what is being affected. TMJ stands for Temporomandibular Joint. TMD can happen as a result of inflammation of the joint, deterioration, muscle or nerve injury, jaw misalignment. When you open your mouth wide, the joint that allows that action to happen is called the temporomandibular joint. On average, it opens and closes as much as 10,000 times a day! Temporalis (Temporal Muscle) – Want more power? The master muscle is not as powerful as the temporal muscle; a broad, fan shaped muscle on each side of the head. Medial Pterygoid– Can be called a “wing” muscle. This muscle forms a sling around the mandible. It serves the movement of the Temperomandibular Joint. The contraction of the medial pterygoid elevates the mandible. Causes Jaw closure & jaw protrusion. Lateral Pterygoid a.k.a the other “wing” muscle. It has a superior head which is tiny and located at the top of the muscle. What’s unique about this muscle? It is the only one of the 4 muscles that can open the jaw. Bilateral activation causes protrusion. Unilateral contraction causes laterotrusion. There are plenty of options available when looking for a natural cure for grinding teeth. The measures above are ideal for relaxing the muscles and calming the jaw. However, this may be just the start of the solution. All those dealing with bruxism may also benefit from looking at deeper-rooted causes. Why are you carrying stress and tension in your jaw? Why is it so difficult to relax this area at night? A combination of mental and physical process should combine to provide the outcome you need. Find the method that works for you, enjoy a more restful sleep and help to protect your teeth and jaw. Take time to take care of yourself and be proactive about taking measures to relax during the day and before bed. If left with no treatment, chronic teeth grinding and jaw clenching can lead to a world of expensive dental problems down the road. We’re talking thousands of dollars in repairs/restorative dental work. The most effective, surefire way to prevent these damages is to wear a custom dental night guard. We wish you all the best and if you found this article useful please let us know in the comments section below!